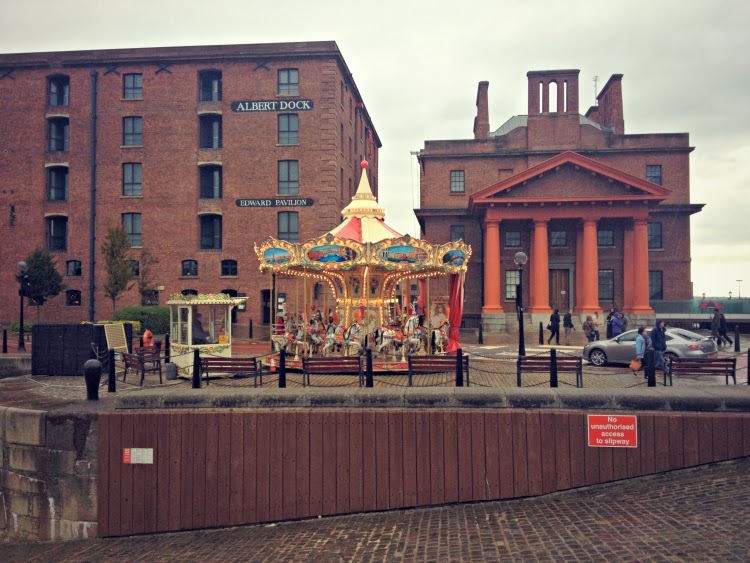 On our drive back from Blackpool to London, Marco and I stopped off in Liverpool for half a day. 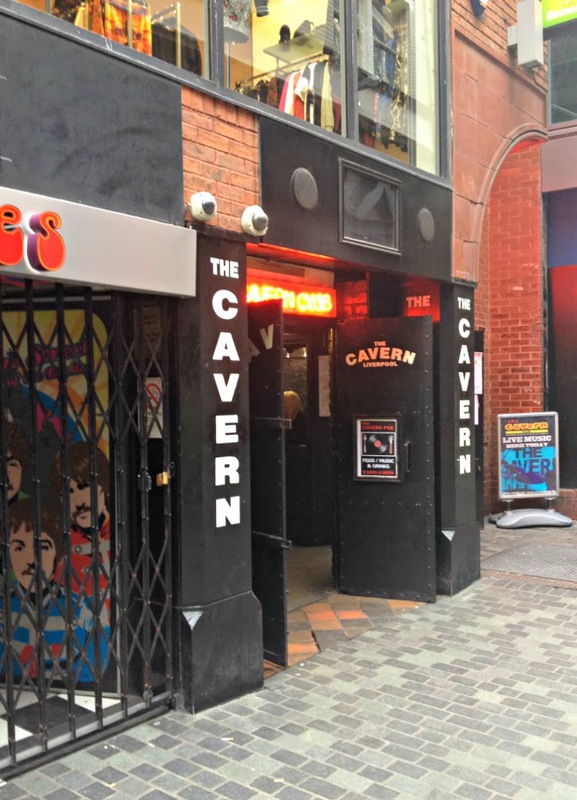 I blame the rain, the stinking cold I had, and my not-so-big interest in the Beatles, but Liverpool wasn't one of those cities that made me want to linger (sorry, Liverpudlians!). But maybe I would have needed some more time to appreciate the place more. I didn't take very many photos on the day, but the things that I ended up capturing where the things I actually liked about our visit. 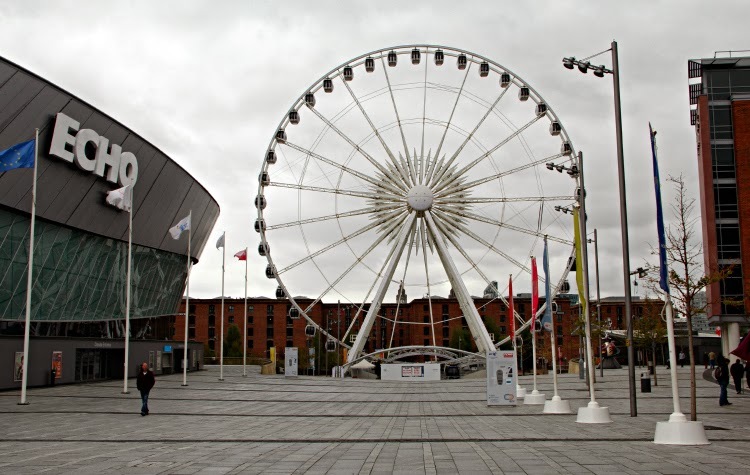 It seems like every self-respecting city needs a permanent ferris wheel nowadays, and the Wheel Of Liverpool was the first thing we saw upon stepping out of the parkade. 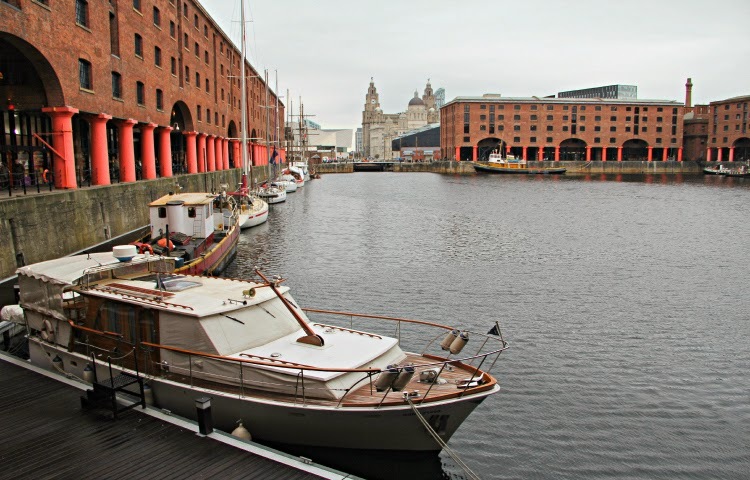 We had parked right near the Albert Dock, which was probably the part of Liverpool I most enjoyed. 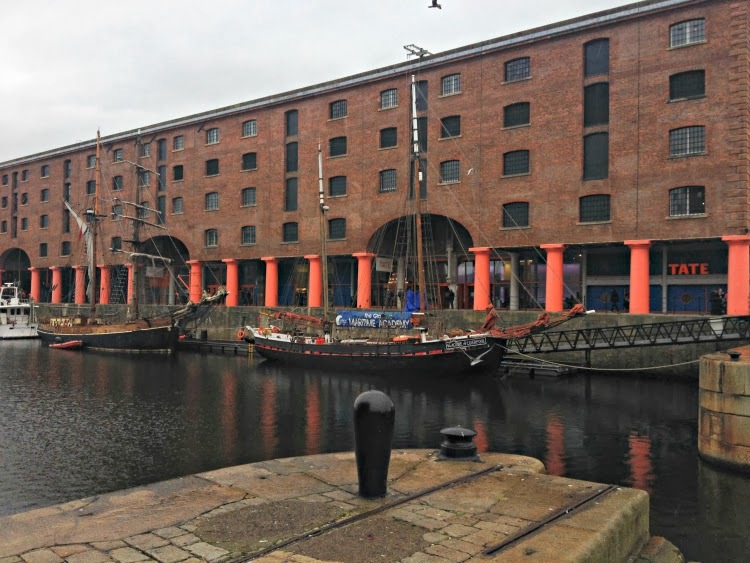 The old stores all were redeveloped and now house cafes, restaurants, shops, and the Tate Liverpool. We initially went into the gallery to warm up and wait for the rain to stop, but ended up enjoying the Constellations rooms there for quite an amount of time. The idea was grouping artworks from different eras around one piece that had majorly influenced the others, and thus have you think about the connection and influence between different artists and their works. 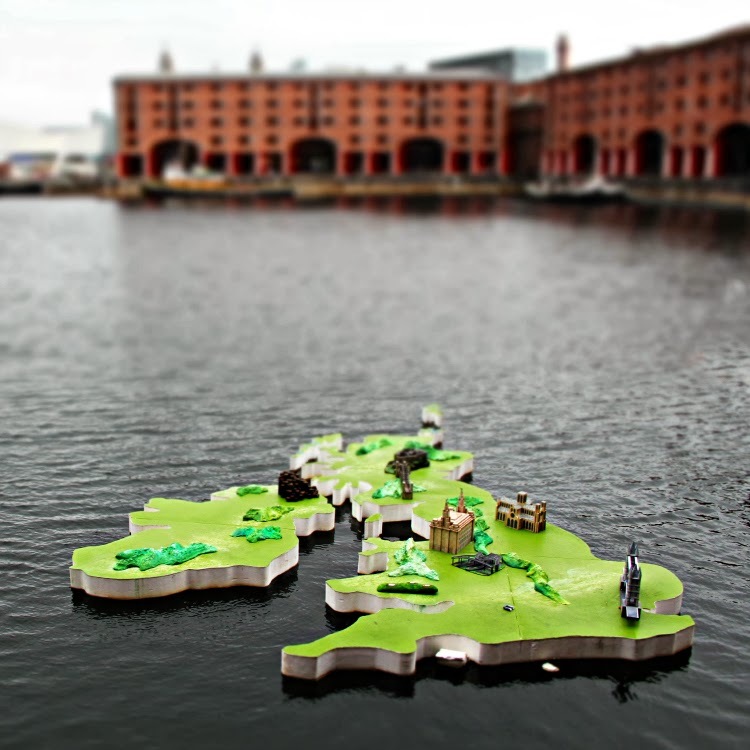 We also happened on this tiny floating replica of Britain. 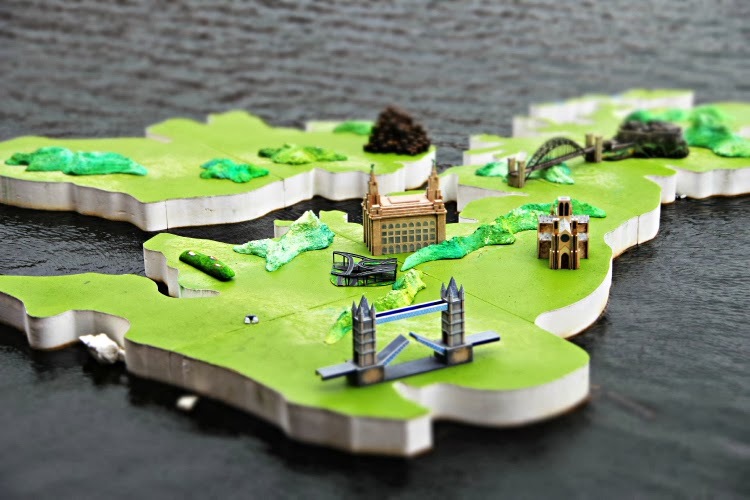 A different version of this was used for the weather reports on a TV breakfast show in the 90s, and the presenter used to walk around on it while forecasting the weather in whatever region he was standing. 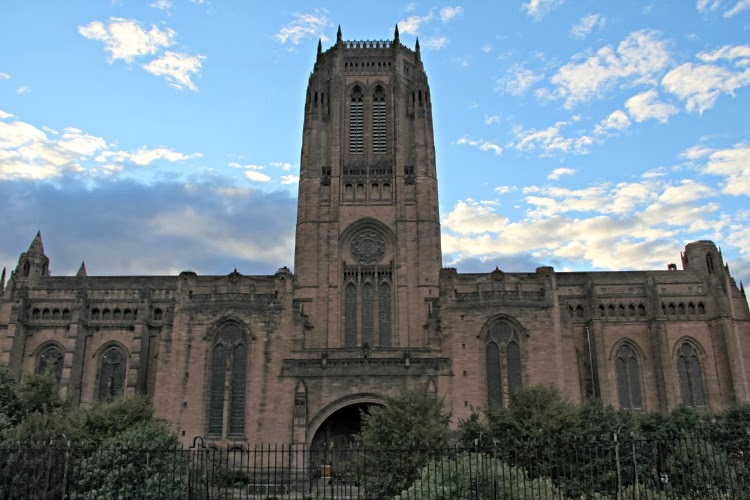 We then went into the city centre, looking for something to eat, and ended up having coffee and cake in the cafe at the Bluecoat Gallery. Seeing as we were there already and it was still raining, we decided to stay and walk through the exhibition. 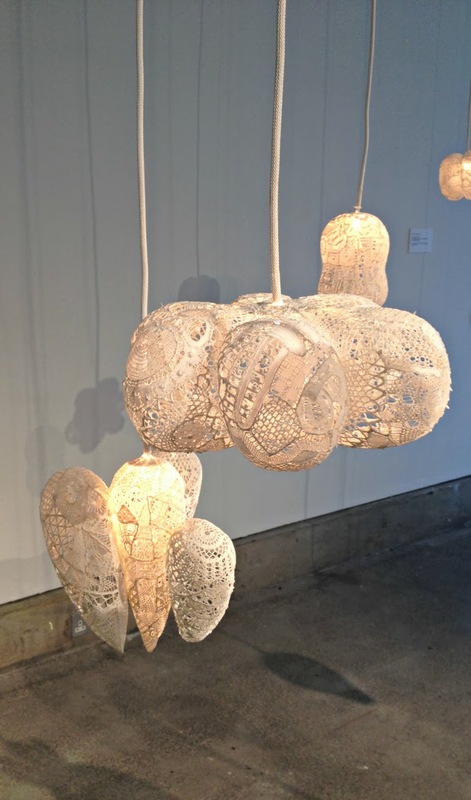 My favourite was (predictably), the installation of lace lamps by Tonico Lemos Auad. So, these were my Liverpool highlights. I am sure if we had spent more there, I would have found more to love about it. Have you been? What did we miss out on? 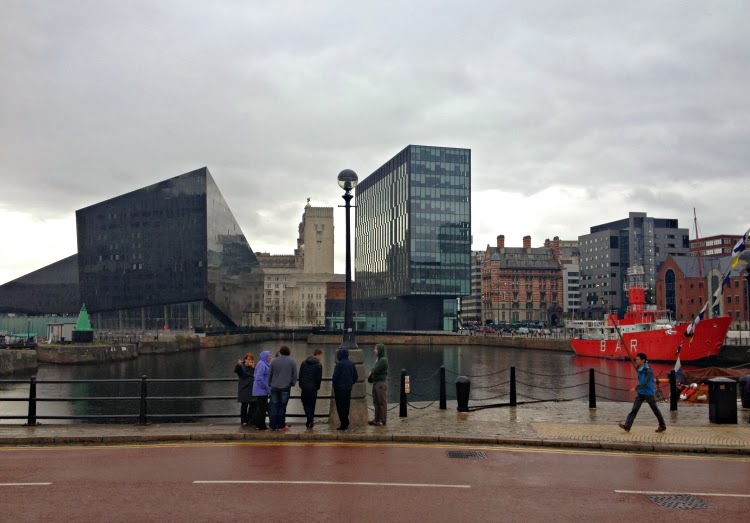 Interesting to have a little look at Liverpool. I just had to look up what Scouse is and discovered that it sounds exactly like a dish that was often served in my French Canadian home, which I sometimes make now, which we call Stew. I love it! I was so used to having it that I found it odd that Nick, with his British background had never had it before I met him. Maybe I was just calling it the wrong name! Too bad you couldn't find any. And I finally find someone else who isn't all over The Beatles!